Sweet corn is classified as sugar, ultrasweet or sugar extended. The classification is based on the corn's sugar content and how long it retains its sugar flavor after harvest. All three types of this sweet corn may be grown in Tennessee. These varieties may be white, yellow or a mixture of the two. Because there are so many options available, growing sweet corn in Tennessee is something a home gardener can easily accomplish when the climate and elevation of the state are carefully weighed. Choose a variety of sweet corn that has proved to do well in Tennessee. 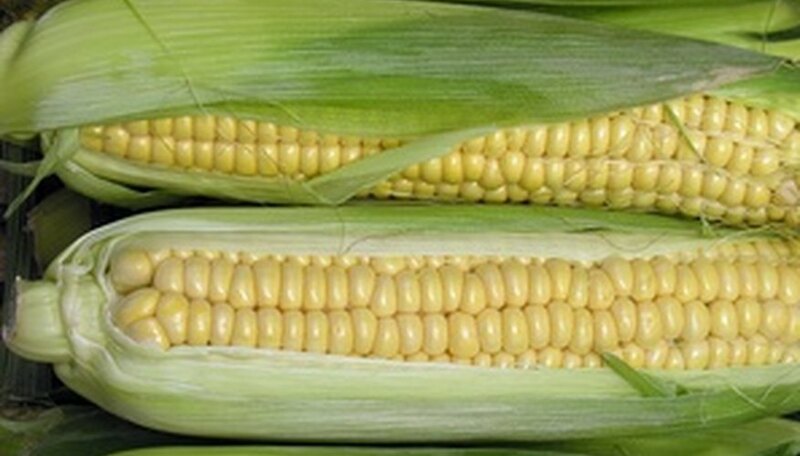 Consider varieties such as Kandy Korn, Merit, Incredible and Golden Queen if you are looking for a yellow sweet corn. Choose Silverado if you would like a white sweet corn. Select from Honey 'n' Pearl or Bi-Queen if you desire a multicolored sweet corn. Plant your crop at the proper time. Plant from mid- to late April in western Tennessee, late April to early May in mid-Tennessee and late April to mid-May in eastern Tennessee. Wait a week or so longer if you are in an area of high elevation. Choose an area in which to plant your sweet corn. Locate a garden area that is in full sun where the soil has good irrigation. Be sure it is at least 100 yards away from field corn. Plan for at least three rows of corn for optimum pollination. Select these three rows on one of the edges of the garden plot. Prepare the rows with a garden tiller. Make the rows approximately six inches deep. Leave a space of three to four feet between rows of corn. Make the rows at least six to eight feet in length. Keep the lengths of the rows as uniform as possible. Drop seeds into the rows 10 to 12 inches apart. Cover the seedlings by using a garden hoe to push the dirt gently over the top of the corn seed. Water the plants using a garden hose or watering can. Check the corn seedlings often for weeds. Use a garden tiller to till between the rows at least once per week even if you do not notice weeds growing. Use a garden hoe to hoe between plants so that the weeds will not choke out the new corn plants. Fertilize the plants when they are eight to 12 inches tall. Use 1 1/2 pounds of ammonium nitrate fertilizer for each 100 feet of row space. Apply the fertilizer to the soil around the corn plants with a garden sprayer. Inspect your corn plants for signs of pests or insect damage. Look for insect holes in the stalk of the plant. Check the ears of the corn as they begin to develop of signs of worms or Japanese beetles, which normally congregate on the tip of the ear. Spray the corn with insecticide and a garden sprayer if signs of these pests are present. Wear a dust mask and gloves when applying fertilizer to your corn.